Jacksonville –State Representative C.D. Davidsmeyer (R-Jacksonville) wants your photos to decorate his Capitol office in Springfield. 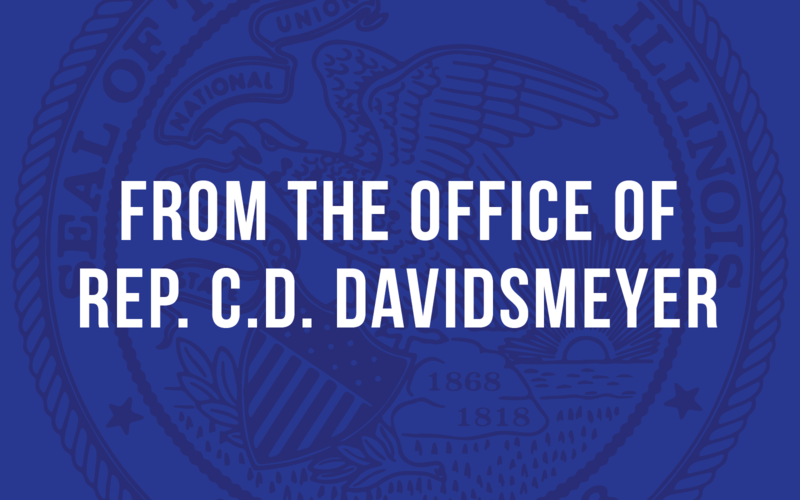 Take a photo of a place, object or event in the 100th district and email your picture along with your contact information to repcddavidsmeyer@gmail.com. The 100th District includes all of Calhoun, Greene, Jersey, Morgan, Pike and Scott Counties along with half of Macoupin, parts of Godfrey in Madison County and the Southwest corner of Sangamon County. Please visit www.cddavidsmeyer.org for a map of the 100th District. “We have so many beautiful places, and great events in our area, and I want to be able to hang photos of those places in my Springfield office that shows just how lucky we are to live in the 100th District,” said Rep. CD Davidsmeyer. This contest will run for the rest of 2015 and winners will be chosen at 3 different times throughout the year. The first round of pictures will be selected on May 1st, then again on Sep 1st, and Nov 1st. Individuals whose pictures are selected will have their photo framed and hung in Rep. CD Davidsmeyers Springfield Capitol office. The winners will be invited to Springfield to have their photo taken in the office after it has been displayed. Should you have any more questions please contact Rep. CD Davidsmeyers office at 217-243-6221 or via email at repcddavidsmeyer@gmail.com.